The Social Dynamic, Thoughts or a Feeling of Flow? Science is currently on the cusp of a paradigm shift in understanding the animal mind. On the one hand systems researchers are discovering simple principles responsible for complex social and collective actions. But then moving in the other direction cognitive researchers purport to find human like rational processes in the minds of animals. The debate over dominance is a good place to examine the collision between these two tectonic plates of science and I predict that the latter will subduct to the former. This is because when one tries to explain a flow system (the animal mind) through the logic of a human psychology (time-centric view of causation via a “brain-bound” mind) one will always produce self-contradicting logic streams. Next we will further find that the psychological interpretation when carried to its logical conclusion, develops into an argument against the premise being tendered. 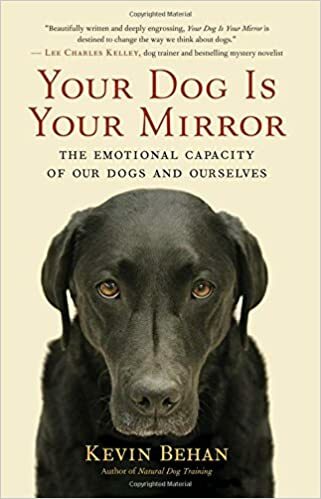 As noted earlier, Dr. Bekoff has said that those who don’t believe in dominance as the organizing principle to the social interactions of animals fail to offer credible evidence in support of their view. In his blog post on Psychology Today he referenced the article by Dr. Maestripieri, linked below, as the definitive argument for the existence of dominance. First note that Dr. M isn’t actually offering direct evidence for the existence of dominance in highly social animals such as wolves, rather, he is arguing for a specific interpretation of the evidence, to wit: dominance and submission best accounts for the complexity of wolf social behavior given the reality that constant fighting and endless negotiation over issues would cause unnecessary injury and would constitute a waste of precious energy. However the linkage between dominance/submission with efficiency is arbitrary, it is a rational justification for the existence of dominance and submission, an argument. It is not evidence. The question is whether or not this linkage is credible? The actual evidence, sans interpretation, is that (1) Wolves form stable social structures (2) Peer-to-peer interactions are embodied by stereotypical patterns of behavior wherein individuals mirror the body posture of their counterpart, one individual embodying a rigid, upright body posture, the other manifesting the complementary “leaky” and lowered body posture 3) Relationships characterized by “UP” and “DOWN” body postures, while they tend to persist over time, can shift as well. (4) Wolves work together as a team to bring down large dangerous prey. Revealingly, in Dr. M’s synthesis of the evidence, fact #4 is absent. However were we to adopt the central tenets of his argument and extend them to their logical conclusion in a way that also encompasses fact #4, which is the most important fact pursuant to how wolves make their living, we arrive at a different conclusion. In the comments section of the above article I recently made this point but since the article was posted several years ago, and because some authors tend not to respond to critical comments, I am posting my counter argument here so that other “deniers” might find some more justification for seeing the dominance meme as a myth. And to emphasize, I’m using the same evidence that Dr. M is using, I’m merely extending his argument to include all the facts. If a wolf’s mind is capable of thinking in terms of expectations and cost/benefit risk assessment that can be updated over time, then therefore a wolf could also think that too much friction within the pack could interfere with the group’s ability to work together on the hunt, that very activity which means life and death for all. This flow principle of collectivized actions toward a common goal is after all what mitigates violence on football teams and within armies. Therefore the team ethic of working together in the hunt toward a common end would be the most logical candidate as the factor that mitigates social friction between members as opposed to thoughts of dominance and submission. A psychological treatment of peer-to-peer relationships based on expectations and conservation of energy leads us to the hunting dynamic as source of the social glue. And since the manner by which wolves hunt can be shown to be a rule-driven non-psychological dynamic, even a psychological treatment of ALL the evidence demonstrates that the dominance construct is not credible. 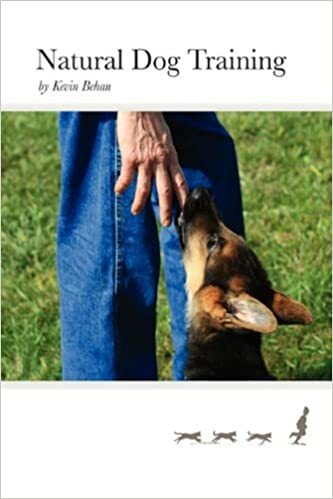 Rather the same dynamic which generates the rules that guide how wolves move in the hunt, would most logically be generating the rules which guide how members relate in the pack, a dynamic which I have articulated in “Natural Dog Training,” 1992.